available five days a week. Your comfort during each dental appointment and procedure is our top priority. We provide you and your family a relaxing dental experience as your cosmetic and restorative dentist in Vidalia. Restorative dentistry for your tooth loss or tooth damage includes dental implants, implant dentures, bridge implants, and the time-saving Teeth in a Day procedure in Vidalia. Your restorative dentist in Vidalia also provides orthodontic treatment for your crooked or misaligned teeth using Invisalign. 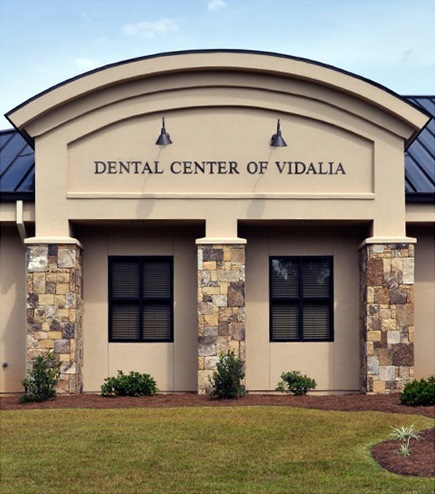 Contact our Vidalia dental office about you and your family’s general dentistry, cosmetic dentistry, and restorative dentistry treatment. Schedule your next appointment for a comfortable dental experience. “I appreciate Dr. Hamilton, and staff! “Just completed my second implant. Easy, peasy. No pain and so easy to eat normal.